tree limbs, originally uploaded by Reign. I think I would give this tree the name "Octopus". It is quite amazing how far out the branches go in every direction. If you look closely at the ground it looks like the roots also snake out in every direction with a similar patturn to the branches. 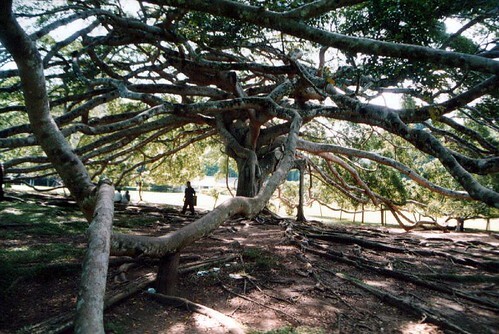 This tree is actually a Ficus Benjamina tree although it goes by the name "Giant Java Willow tree".